The United Arab Emirates is a federation of states in the Middle East. 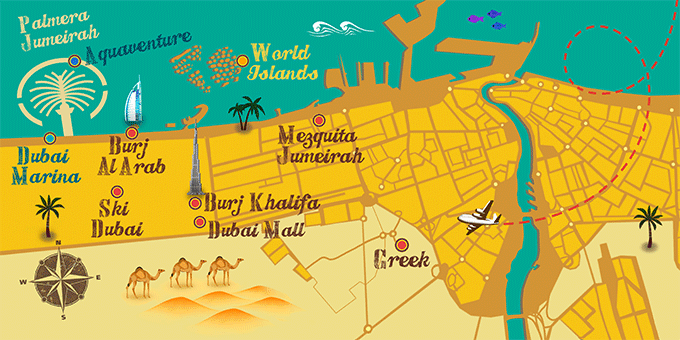 The country is comprised of seven Emirates: Abu Dhabi, Ajman, Dubai, Fujairah, Ras al-Khaimah, Sharjah and Umm al-Quwain. The country borders Oman to the southeast, with the Persian Gulf to the north and Saudi Arabia to the south.